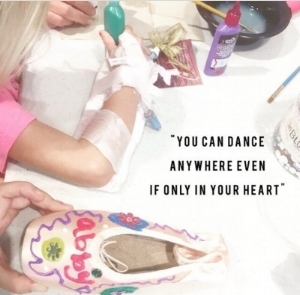 This mission of The Graceful Gift Foundation is share the joy associated with dancing and to increase the exposure of the arts to children in difficult financial, emotional, or physical circumstances. Sponsorship will go towards our event programming and interactive on-site performances. To learn more on current efforts, visit our events and blog pages! Thank you for your interest and support in Graceful Gift! We look forward to dancing with you soon! Media used throughout this site is courtesy of: Variations Dance Studio and Children's Hospital of Alabama.